Looking for a unique and original, yet still immensely stunning piece of wall decor with which to decorate that spare wall in your home? Search no further, because we at Tenstickers have put together a fantastic wall art sticker, perfect for any part of your home! 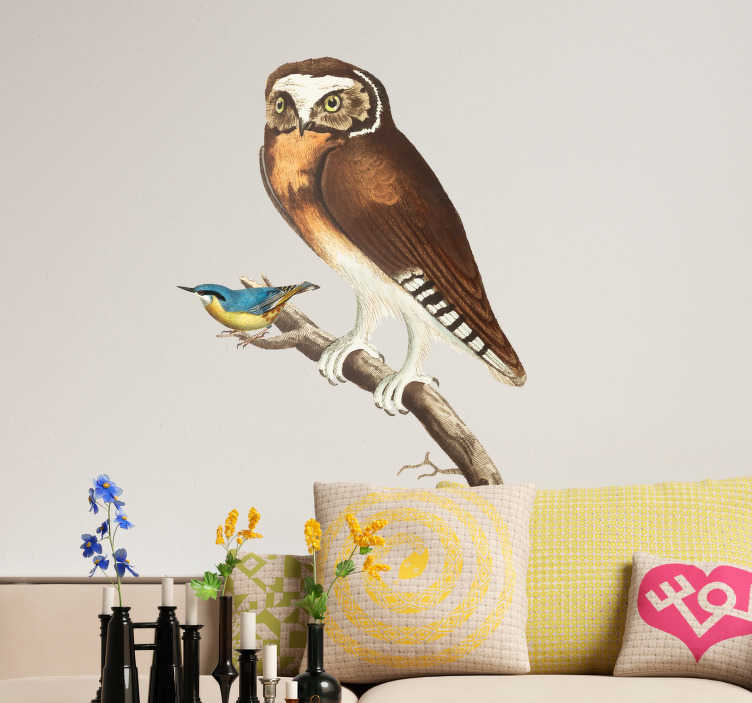 Depicts an owl next to a small bird, standing on a branch; making it ideal for all those bird lovers, or for those who just love the wondrous quality of nature!